This was the planned program with speakers confirmed at the time. Continued resistance from CIA, which insists that OSINT is passive media monitoring, rendered the event impossible to produce at this time and place. The event has been cancelled. All listed speakers are confirmed. Each plenary presentation will last 29 minutes. Questions via email will be answered within the online Proceedings. Speakers will be available during the two-hour catering break following each speaking block. 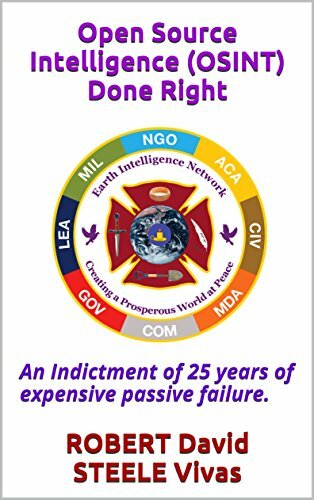 All speakers — and thousands more experts known to Robert Steele — are immediately available to provide consulting, evaluation, tools, and training to existing and new Open Source Intelligence (OSINT) endeavors. Collection Requirements and Evaluations Staff assistance is also available to those who now realize they are not getting more than 4% “at best” from their existing secret “national” intelligence producers. The below two references provide context. Anthony “Tony” Kimery is Editor-in-Chief and co-founder of Homeland Security Today. An award-winning journalist whose series on “Savage Struggle on the Border” is representative of investigative reporting that mainstream media refuses to provide, he focuses on the short-falls in intelligence and counterintelligence “needs and feeds” for all aspects of homeland security including the health and safety of the population, information sharing (or not) in relation to counternarcotics and counterterrorism, and the complete absense of responsible reporting and honest statistics about corporate poisoning of the America’s air, ground, food, and water. NOTE: Open Space track will be introduced on Day One, Open Space sessions will take place throughout the conference, with each session being written up and posted to the conference web site, possibly also published as a separate Kindle and CreateSpace book. 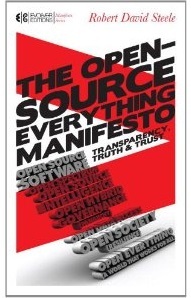 NOTE: Organizations are encouraged to buy multiple full access tickets, some to be used by a person who will be present throughout, others to be shared by four distinct individuals — this will give each organization a cadre of five people who in the aggregate will understand how to advance any Open Source Intelligence (OSINT) program, by-passing bureaucratic obstacles and establishing local to global networks across all boundaries. Seats are transferrable at any time. Organizations that send five or more people will receive an invitation to participate in the planning of the next conference, and a sustaining role in the month to month networking activities between conferences.